Shone through cracks in your hair. But feeling my skin, it was cold to the touch. 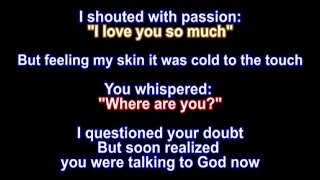 But soon realized, you were talking to God now. I saw you behind but my reflection was gone. "Now it's time to go"